The cost of the project to upgrade the Ramsay Wright teaching laboratories has “greatly increased,” according to Planning & Budget Committee documents. Details about the cost will not be made public until the project goes to tender. The project was discussed at a Planning & Budget Committee meeting on October 29. 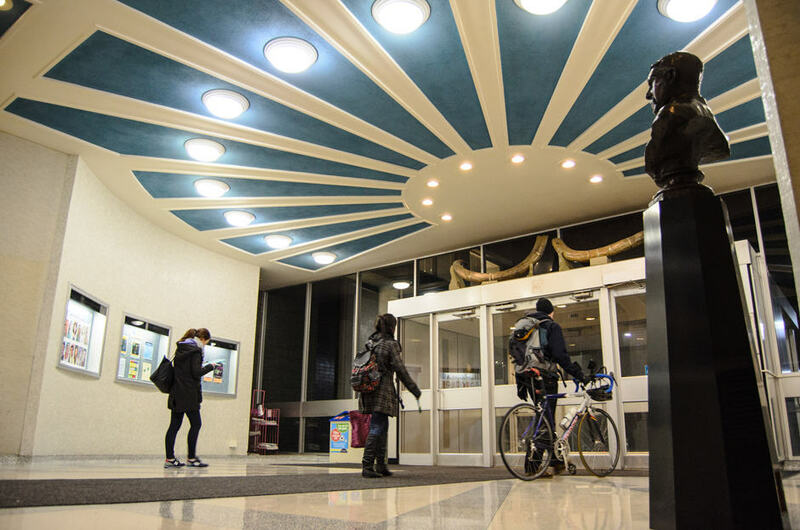 Almost one-third of all first-year students registered in the Faculty of Arts & Science are enrolled in courses in Ramsay Wright Laboratories. Jay Pratt, vice-dean, research & infrastructure for the Faculty of Arts and Science, said that U of T’s science programs are among the best in the world, but students do not get an experience that corresponds to the university’s quality. Many teaching laboratories used by the Departments of Cell & Systems Biology (CSB) and Ecology & Evolutionary Biology (EEB) — both of which have very high undergraduate enrolments — are located in Ramsay Wright. Currently, CSB and EEB share the Earth Sciences Centre for labs that require fume hoods, which require equipment to be moved between buildings after each semester. The renovation will address this issue by relocating most of the teaching lab activity to Ramsay Wright. There also will be design changes for the teaching labs at Ramsay Wright in a bid to increase undergraduate teaching space — some of which include benches that are reconfigurable and movable, and eliminating solid walls to create an open lab layout. The project further calls for accommodation of requested changes, building code requirements, Environmental Health & Safety requirements, and IT requirements by including air conditioning, emergency power, fire alarms, additional showers and sinks, and new network rooms. Open lab layouts have been successful in other science buildings at the University of Toronto. Amy Mullin, professor of philosophy and vice principal and dean at UTM, added that the changes in the lab design will also accommodate students with disabilities. Christine Burke, the university’s director of Campus and Facilities Planning, pointed out that the labs have not been upgraded since they were built in the 1960s. In order to avoid disrupting teaching activities at Ramsay Wright, the timeline of the renovation adheres to semester start and end dates. The project will be undertaken in three phases over two-and-a-half years. The first phase is scheduled for completion in January 2015, while the second phase is scheduled for completion in August 2016 and the final phase in April 2017.